The use of immersive technologies has revolutionized various industries globally, and the health sector has not being an exception. In the past, virtual reality (VR) was commonly associated with gaming companies where users would use VR headsets for multi-projected environments. Both patients and physicians are in a position to enjoy the existing and potential benefits that result from the implementation of virtual reality technology in healthcare. This technology is transforming the operating environment of the medical field with its advanced applications in the following areas. Over the years, surgical procedures have been known to be time-consuming, for obvious reasons. The delicate nature of surgeries requires that surgeons become meticulous and keen while the patients are on the operating table, lest they put their lives at risk. And while at it, surgeons in training are expected to practice and execute real surgeries on patients under the supervision of assisting senior doctors. To speed up the training processes, the virtual reality technology comes in handy. It allows the trainees to increase their hours of practice as they are able to cover bigger proportions of surgical procedures without fear of risk on real patients. For example, students at Stanford University School of Medicine are already utilizing the innovative Stanford Virtual Heart to revamp education on congenital heart diseases. Students at the University have reported that virtual reality is the most enthralling technique of grasping complicated concepts in anatomy, far exceeding the traditional teaching methods. Patients suffering from paranoia need a fully controlled environment to help them manage their fears. Virtual reality provides an avenue for doctors to offer exposure therapy to such patients. While in their physical surroundings, the VR headphones provide a seemingly calm experience for the patients through a controlled and monitored environment that appears to be real. Soldiers who have been in combat are likely to suffer from a disorder as a result of the trauma they faced. Nonetheless, the post-traumatic stress disorder is not limited to soldiers. The mental disorder can affect anyone who has faced any petrifying experience such as physical or mental abuse, sexual assault, and road accidents. The virtual reality technology is used in the medical field to create immersive scenes that triggers a patient’s fears and help them relive the painful experiences before they are assisted to cope with those situations. The medical professionals usually use the seemingly realistic scenes to treat the PTSD and anxiety while assuring the patients that they are far from harm and are now in a safer environment. Autism is a developmental disorder that impairs the social relations of patients and how they reason and interact with others. One of the ways through which the medical sector deals with autistic persons is developing programs such as the social cognition training to monitor the brain wave of patients. This is achieved using the virtual reality technology which boosts their brain imaging by placing the patients in different social scenarios, giving them social cues and helping them understand different social patterns. The VR headsets boost the brain activity of autistic people and help them to develop acceptable social behavior. VR technology has been widely embraced in the medical field for pain management in patients undergoing overwhelming treatments. In situations where patients experience extreme pain such as cancer and physiotherapy treatments, burns, open wounds, and broken limbs, there is a need for a distraction in the brain. This helps in confusing the pain pathway that leads to the brain, which minimizes the excruciating experiences. 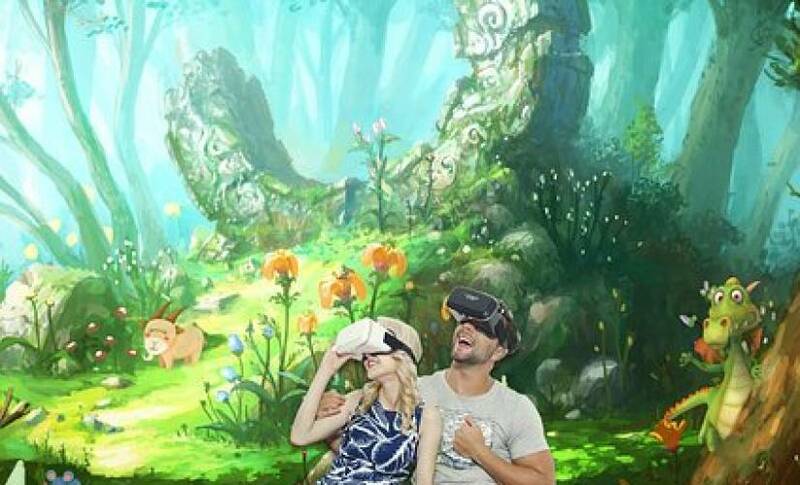 For example, virtual reality games act as a good distraction as they draw the patient’s mind away from the pain points. Chronic medical conditions tend to confine patients to the hospital, rendering them bedridden. The experience can be torturous mentally since the patients have to live life from their beds with medical teams helping them perform the most basic functions. But, they don’t have to see life from that one angle. Virtual reality enables bed-ridden patients to see the world from a different light. They are able to relax and visit a seemingly real external world from their rooms and have experiences taking long walks or riding bicycles like they would if they were not confined to a bed. General anxiety attacks results in patients feeling an overwhelming sense of panic and distress such as the ground being swept away beneath their feet. Medical professionals usually recommend mediation and reflection as a form of treatment as it helps in checking, monitoring, and controlling a patient’s breathing. To improve breathing patterns, physicians usually use functional apps integrated with the virtual reality technology for monitoring and controlling the regularity of a patient’s breath before administering proper anxiety treatment. People who have lost a limb or have had their limbs amputated tend to suffer from a localized sensation around the area that is missing the limb. It also happens to people who have prosthetic limbs attached to their bodies, leading to excruciating pains and a lot of discomfort. With virtual reality, the healthcare industry is able to help patients manage the Phantom Limb pain (PLP) using VR games that help them relieve the pain and control their limbs. Differently-abled people should not be stopped from experiencing the thrills of the outside world because of their physical conditions. Virtual reality in the health sector improves their quality of life by allowing them to experience different environments that appear seemingly real from where they are. For example, a person bound to a wheelchair can take a walk on a beach or go scuba diving using the three-dimensional simulation. The numerous benefits of virtual reality in the medical field has prompted medical experts to rapidly integrate the technology in several healthcare solutions. The amazing virtual reality technology offers fascinating opportunities in medicine and it has limitless potential in making physician and patient experiences more bearable.